The singer-songwriter plays luscious, resplendent jazz-tinged pop in the mould of Hiatus Kaiyote and with a hint of Warpaint alongside her band The Moonbathers. It makes for perfect listening in the scorching sun that bathes the Steel City on the evening we meet up.The two of us gather in the beer garden of London Road’s The Cremorne whilst herself and her two band mates, Jack Athey and Oliver Warrap, conduct a DJ set under the moniker of Blancmange Lounge. The Sheffield shows always have caused me to get emotional because people really dig it and there’s always so much love flying around. With the group’s lineup settled upon, the next step came with recording the music. The first output was a split EP with Fentonville Street Band and recorded with local troubadours Delicious Clam. “I absolutely love the Clam boys. They’re doing such a great job and they’re all such beautiful people.” The next two EPs, Parent’s Evening and Voyager, were recorded with Blancmange Lounge and were mixed by themselves.“I started off wanting to control everything and do everything myself but I’ve since found that it’s best to get other people involved”, she says. “The group’s all about finding other artists, like Rosie PM and Tom J Newell, and getting them involved”. 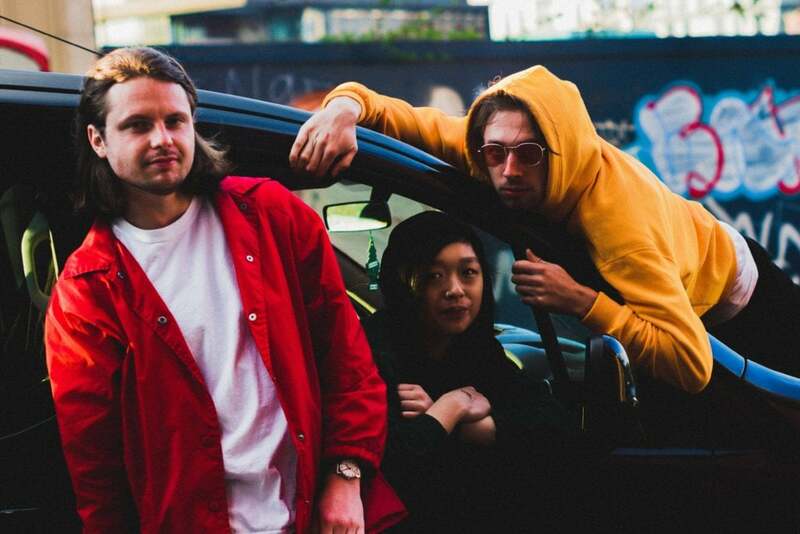 We had the pleasure of filming an exclusive Exposed In Session with the wonderful Katie Pham & The Moonbathers ahead of the band's Picture House Social gig alongside Night Flowers tomorrow. You can get a bit of dosh knocked off the ticket price for said gig by using the code GIVEMEABREAK – http://bit.ly/NightFlowersPHS. Massive shoutout to Renton Productions and Café Totem on this one!